EL NOSTRE HORT: PRIMER INTENT D'ELIMINAR ELS PUGONS DE L'HORT! BLOC DE L'HORT DE L'ESCOLA LA BRESSOLA SANT GALDRIC. 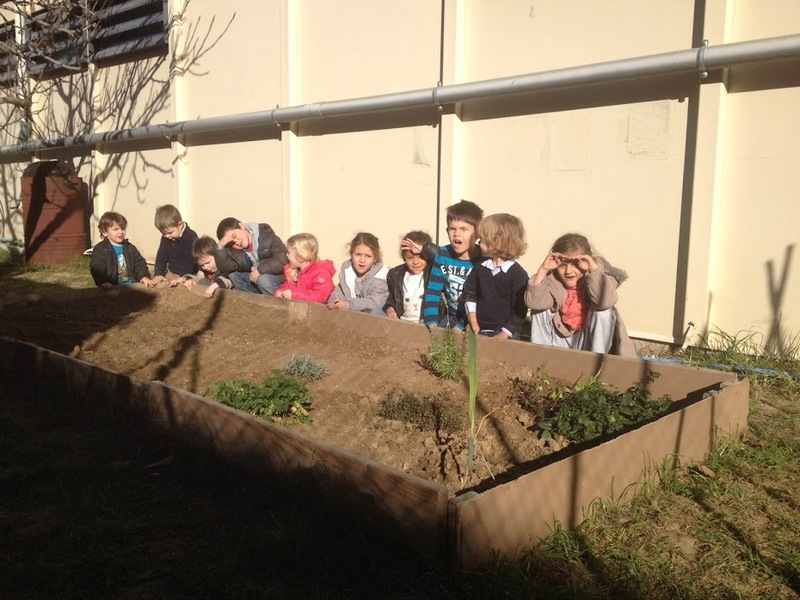 L'HORT ÉS UN PROJECTE VERTICAL DE TOTA L'ESCOLA QUE AQUEST ANY DUEM A TERME ELS DIVENDRES AL MATÍ. JA FA CINC ANYS QUE VAM COMENÇAR A FER HORT A L'ESCOLA! PRIMER INTENT D'ELIMINAR ELS PUGONS DE L'HORT! AQUEST MATÍ HEM POSAT UNA PREPARACIÓ DE CAFÈ A LES FAVERES! LA PREPARACIÓ ERA UN LITRE D'AIGUA BULLIT AMB UNA CULLERADA DE CAFÈ. PER APLICAR-HO HEM UTILITZAT PINZELLS. A LES FULLES QUE TENIEN MÉS PUGÓ HI HEM POSAT LA PREPARACIÓ DE CAFÈ A RAIG. MENTRESTANT, ALGUNS COMPANYS BUSCAVEN CARGOLS. AVUI N'HI HAVIA MOLTS PERQUÈ HA PLOGUT!!! FINALMENT, HEM COLLIT ELS ESPINACS, PERQUÈ EREN JA MOLT GROSSOS! I ELS HEM REPARTIT PER LES CLASSES! EL PRÒXIM POST DEL NOSTRE BLOC SERÀ DESPRÉS DE VACANCETES DE PRIMAVERA! US DESITGEM UNES MOLT BONES VACANCETES!!! AVUI HEM COLLIT LES CEBES!!! ENS MENGEM L'HORT!!! ARA SI QUE CREIXEREM!